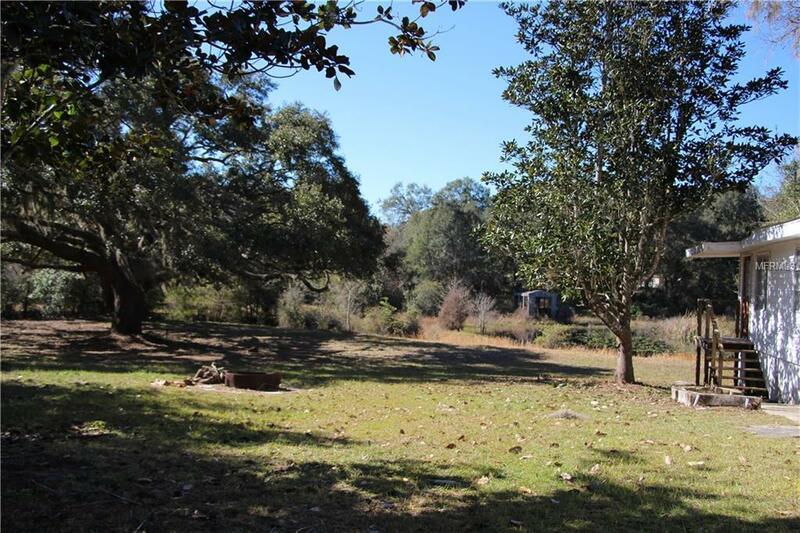 Property includes 2 parcels 4018-206-047 & 4018-205-013. Nestled in the Ocala National Forest. The original cabin has been expanded over the years. 3 out buildings for storage. It's a great get away from the city for a weekend of fun in the forest. Fish, hunt, ride your atv or dirt bike. Tons of wildlife to enjoy. 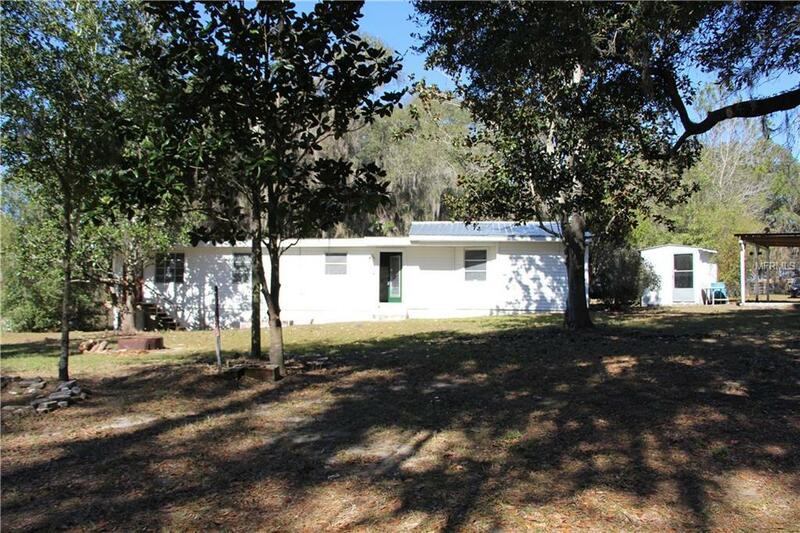 Quiet neighborhood with boundaries adjoining the Ocala National Forest. Enclosed Florida Room on back of house currently being used as 3rd BR. Situated on approx. 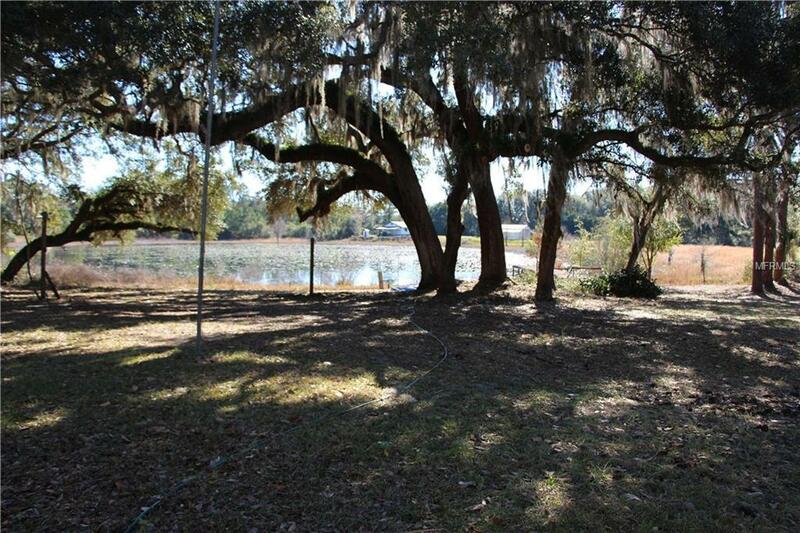 1.62 acres - partially fenced. 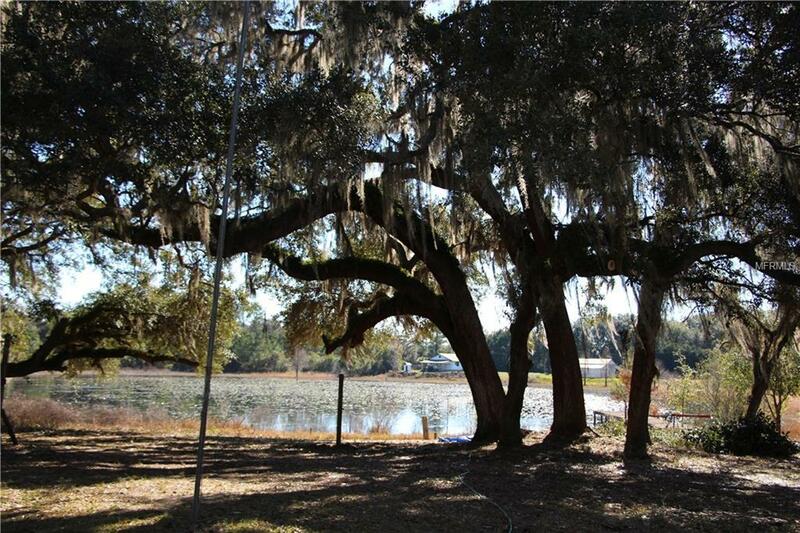 Two ponds one has private beach with existing dock and canal that leads to beautiful springfed Lake Mary with public beach area. This is a cabin original portion built in the 40's. Cabin sold AS IS. Breathe in the fresh air - catch the excitement in the moonlight under the stars. The pond on the left has a canal that can be traversed to the spring fed Lake Mary for fishing and other forms of recreation. The Ocala National Forest boasts more than a half million acres and has hundreds of springs, rivers and lakes for fishing, swimming and or boating. Come to the peace and quiet and serenity of the forest. Get away from the hustle and bustle of the city. Huge fire pit for entertaining, build your bonfire and invite the neighbors for a marshmallow or wiener roast. Drop a line and have fresh caught bass or bream for dinner. Just a couple miles down the road is the Ocklawaha River Public Boat Launch where you can cruise the river for the day. You can make a wonderful home here on your own piece of heaven.